Astronaut Scott Kelly's remarkable #YearInSpace is full of fun (and work too)! 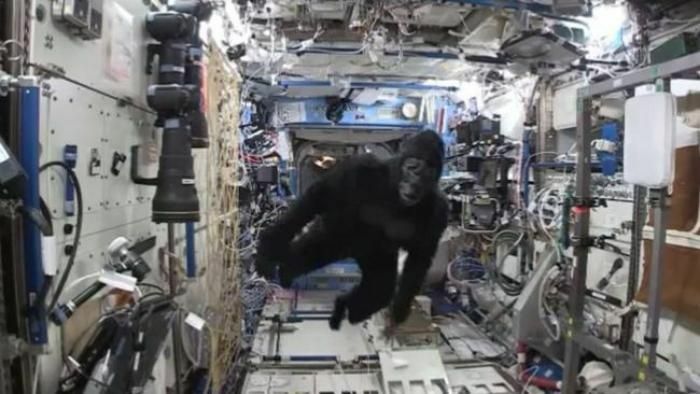 Recently, Kelly video featuring him dressed up as an ape, chasing astronaut Tim Peake around the International Space Station. Sounds like fun? It gets better! This hilarious chase take place in the low gravity environment on the space station. Scott Kelly's identical twin brother Mark Kelly tweeted the video of British astronaut Peake being chased by an 'ape'. This video has left everyone with the same question. Who thinks to pack a gorilla suit for the ISS? Well, Scott Kelly and Tim Peake that's who. Scott Kelly will return to Earth on 1 March, after a whole, and rather eventful, year in space.